Helsinki-based talent Unterberg takes the scepter of release from Monzaa to deliver Label X Records‘ next offering, titled ‘Faith’. Stream/Buy ‘Faith’ by Unterberg here. With a recipe that never gets old, Jenia‘s own imprint stays true to its concept and keeps on delivering a mix of raw deep, urban and underground sounds. Like being the next chapter of Label X previous release titled ‘Love‘, ‘Faith’ by Unterberg creates a mysterious vibe around its vocals. Known also as Ramon Soivio, Finnish Unterberg is seduced by genres such as Progressive House, Deep and Techno. He has signed tracks to major labels like Intricate, Universal Music, Black Hole Recordings and garners support from Above & Beyond, Cosmic Gate, Roger Shah, JES, Sunny Lax, Tom Fall, Eximinds, just to name a few. Following various releases, such as ROOSX – Light EP, “Midnight” or “X-Ray“, the label trusts this sub-genres and reveals many unique pieces. Cypriot Jenia launched Label X with his good friend Phillip Ora from Los Angeles, who’s the co-founder & the label director. “We’ve been discussing music in general for the last two years and shared our thoughts on how our label would be. We are not slaves to a genre. We want to release just good music. Our upcoming releases will reflect that & identity will come naturally“, says Jenia. 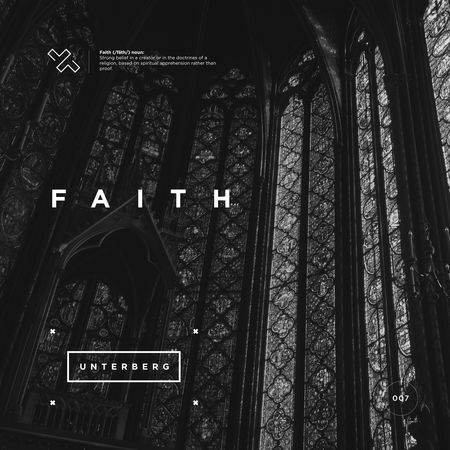 Listen to ‘Faith’ by Unterberg below and tell us your thoughts in the comments.